Samsung Galaxy Note 8 - Everything you must know! The first look at Samsung’s Galaxy Note 8. 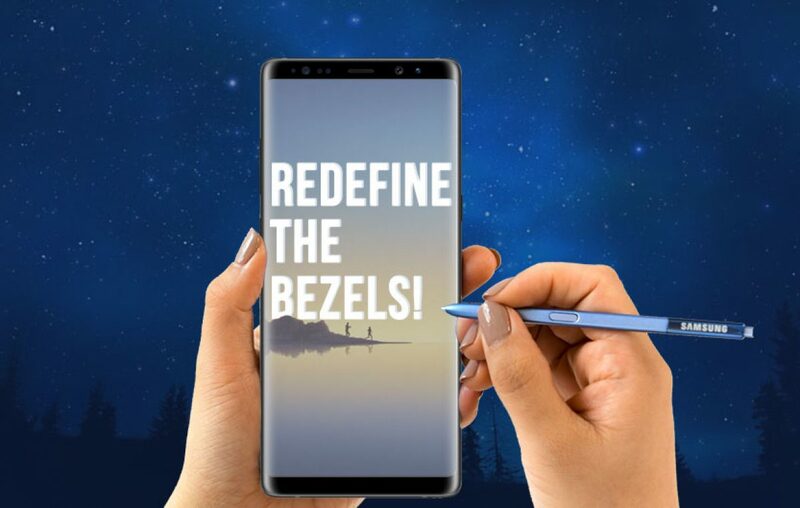 Just four weeks before the official revelation of the most awaited Galaxy Note 8 smartphone. We’ve received the first clear look at the new iteration in the Galaxy Note lineup. 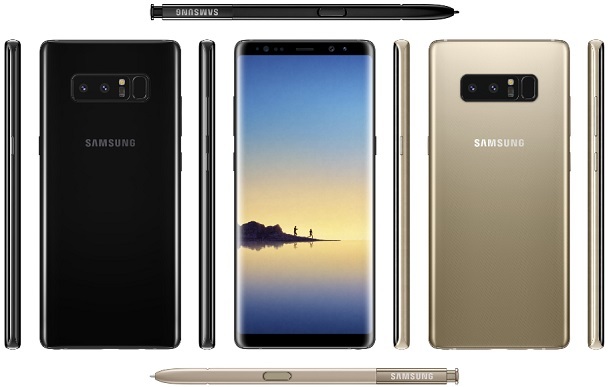 Samsung, the maker of this fantastic high-end phone has scheduled the Galaxy Note 8 release date on August 23rd. But who can stop the leaksters from spoiling the show! How does Samsung Galaxy note 8 plans to fix Galaxy Note 7 fiasco? Probably by shifting your focus to the design of their new Galaxy Note 8! 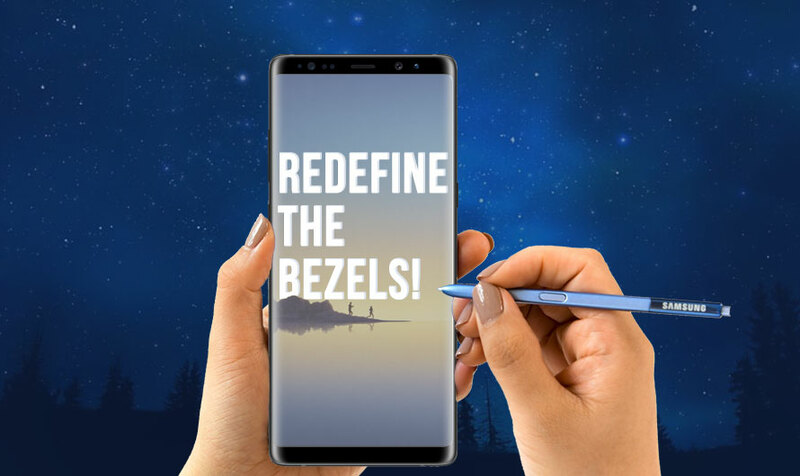 Following in the footsteps of Galaxy S8, the upcoming Galaxy Note 8 sports the edge-to-edge Infinite display technology as there are practically no bezels on the new phablet iteration. It’s like holding a display unit in your hand. A display, nothing else. This technology was introduced on S8 and it changed the perspective of the series for better. Usually, Galaxy Note phone sports a display size of 5.7-inches. But with this edge-to-edge display technology in hand, Samsung might have increased the screen size to around 6-inches or so. As the phrase suggests, “do bigger things” on company’s launch invite, the new phone will be flaunting a bigger display on the stage. One of the major improvements that were lacking on the Galaxy S8 has been implemented on the upcoming Galaxy Note 8. In the leaked press images of the handset, it’s noticeable that rear camera setup is drastically changed. The dual cameras can be easily spotted. There is no official information about the camera specifications, but it is reported that camera features of Note 8 would be one of its kind. The camera abilities like 3X Optical Zoom, improved low-light performance, and HDR mode is expected from the new camera setup. Also, the rear cameras would have a functionality to measure depth in 3D, which will allow it to do greater things. Nothing is perfect, even the best of them aren’t. Samsung might call themselves a flawless high-end smartphone provider, or that’s how consumers might have portrayed Samsung phones. In the history of products, no brand has made a perfect product. In the process of designing a bezel-less phone, Samsung has flawed the fingerprint experience on the new Galaxy Note 8. Just like Galaxy S8, the fingerprint sensor is shifted from front to rear. It could have been okay if the sensor wasn’t placed closed to the camera module. Cuz what happens, users accidentally put fingers on camera lens instead of the sensor. Not much is known about the specifications of the Note 8 for now as those details are still nascent. But we do have an idea on that which you can check on our other post. As for the cost of the device goes, the Galaxy Note 8 price in India is would go as high as Rs 75,000. What do you think about the Samsung Galaxy Note 8 design? And would you upgrade if the cost is this high? Let us know in the comments section below. I see from the looks on you that the unveiling has left you impressed! Previous article Mi TV 4A - An Unbelievable Smart TV Experience for Everyone!